The United States and South Korea have been arguing for years about washing machines. Back in 2011, the Whirlpool Corporation filed a petition with the U.S. government, complaining that manufacturers of South Korean washing machines were selling their products in the United States below fair market value. That practice is known as “dumping,” and under international trade rules, countries hurt by dumping can retaliate with financial penalties of their own — extra tariffs. In 2013, the U.S. slapped tariffs on the washing machines. South Korea complained to the World Trade Organization — saying the calculation of the penalties broke WTO rules. Three years later, the WTO found in favor of South Korea, and gave the United States 15 months to change the penalties. But action was not taken — so South Korea filed another complaint with the WTO. On Friday, the WTO again ruled for South Korea — clearing the way for it to impose retaliatory tariffs against the U.S. of about 85-million dollars. But because of the length of time it’s taken for this case to wind its way through international arbitration, market conditions have changed. Back in 2011, the South Korean washing machines were made in Mexico and South Korea. 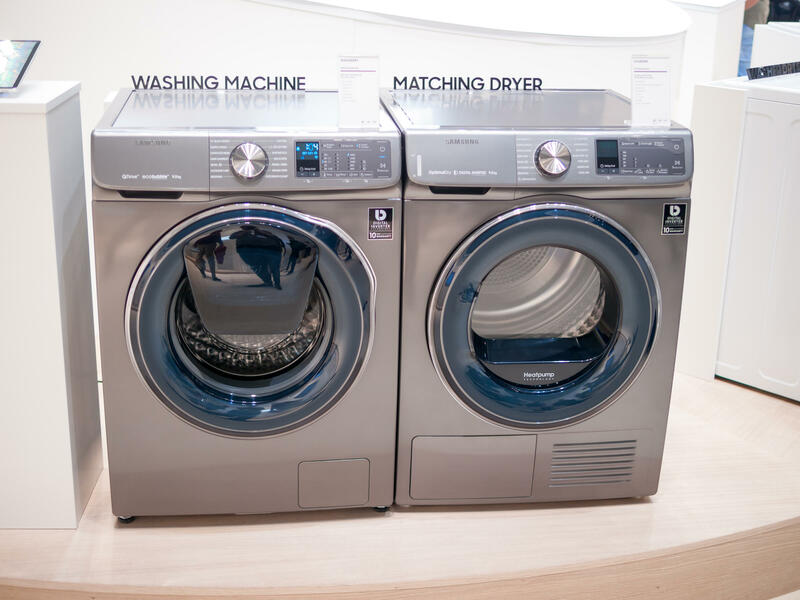 Last year, both Samsung and LG set up manufacturing lines for washing machines in the United States — meaning those products are no longer imports.